anieshabrahma.blogspot.in - Fleshing out the protagonist and the antagonist...who knew character sketching would be this much fun? Read on to find out about Princess Zoya & Prince Arvind. srishtiopines24.blogspot.in - A story inspired by the Gujrat Riots 2002. In a hole in the ground... there lived a hobbit!!! makeachange1.wordpress.com - In this mire of Film-industry, will she dare to say, will she dare to raise her voice, will he dare to take a stand, will she be saved, will her soul heal.. Will He be punished! 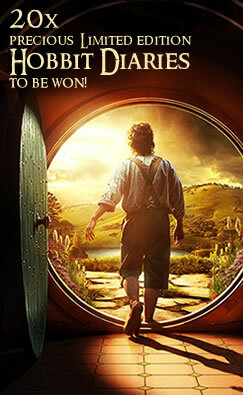 Taking your cue from the versatile characters in Jacob Hills, flesh out your own protagonists and antagonists to win 20 limited edition Hobbit Diaries!